If the idea of travelling in a foreign country is a daunting prospect for many, the idea of travelling in a foreign country with a baby in tow is enough to give anyone the heebie jeebies. But don’t worry – parenthood does NOT mean the end of exciting holidays, we promise! 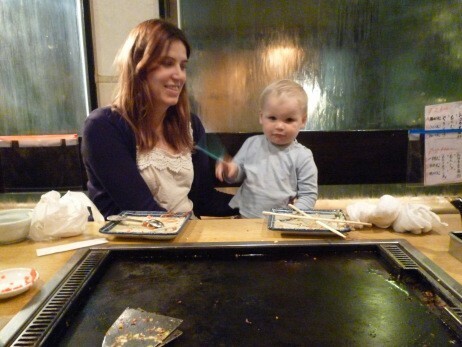 At InsideJapan we have years of experience organising fantastic holidays for parents and babies in Japan, so we know that travelling with kids doesn’t need to be scary or stressful. Plus, as our clutch of InsideJapan babies steadily grows, we’ve been gathering some excellent first-hand experience ourselves! 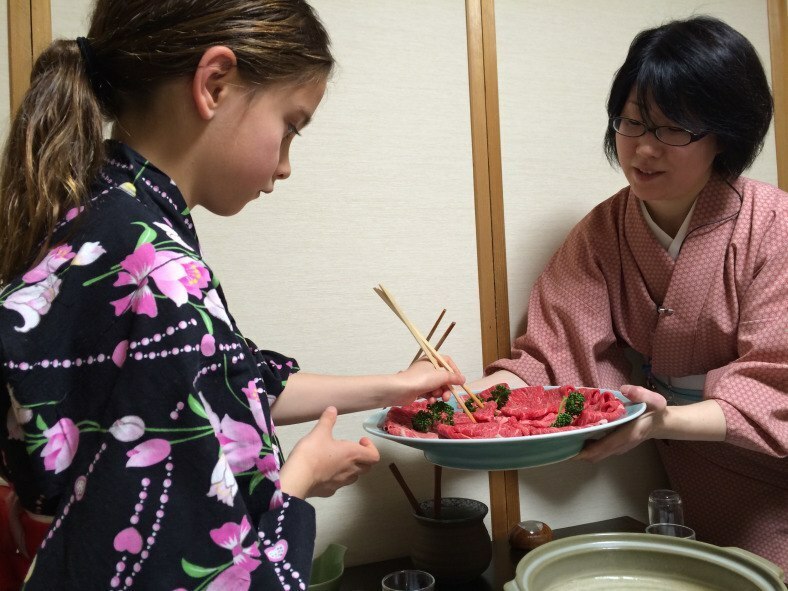 In this blog post, we’ve collated some hints, tips and advice from our various InsideJapan mums and dads, gleaned from their experiences travelling with sprogs in Japan. If there’s anything we’ve neglected to cover, please don’t hesitate to let us know in the comments below. Can you breastfeed in public? It is quite uncommon to see women breastfeeding their children in public in Japan, but there are good nursing rooms available in many places. Here you’ll find curtained booths for privacy, and hot water machines for mixing formula too. If you are riding the bullet train, there is a multipurpose room that can be used for nursing – but you will need to ask an attendant to unlock it. 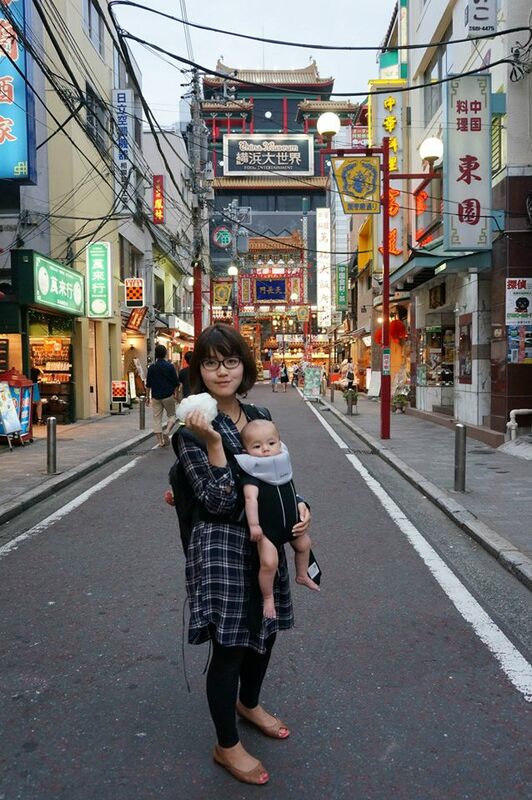 When we picked Rie’s brain on the subject, she told us that if you have a baby carrier that you wear on your front, you can often get away with breastfeeding completely unnoticed in any public place. This goes for whether it’s on the train, in a restaurant, while walking down the street or even when running across a pedestrian crossing! Rie also recommends avoiding taking the subway at busy times of day if you’re travelling with a baby, as it can be very crowded and you can’t assume that you will be given a seat. Should I bring nappies (diapers)? We suggest bringing a supply of nappies for the flight and for the first few days of your trip, but it’s very easy to buy more in Japan so you don’t need to worry about stuffing your case with them. 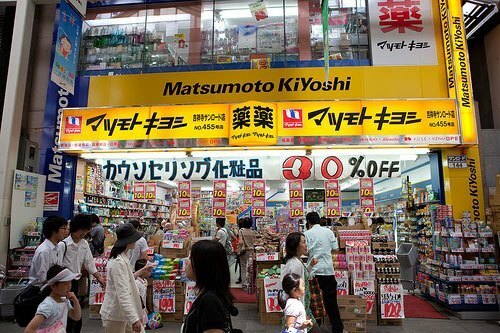 If you need to buy nappies, then keep an eye out for drug stores such as ‘Matsumoto Kiyoshi’ for nappy supplies. 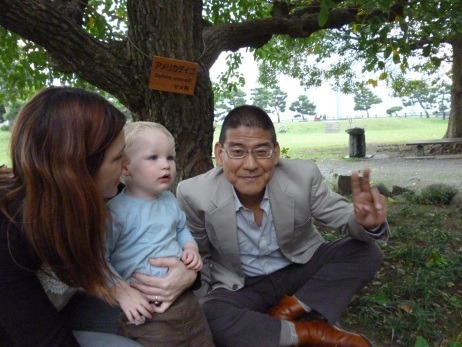 Our company Co-Director, Simon, travelled to Japan with their young daughter, Florence, in 2013. Simon recommends that parents bringing young children to Japan pack both a child carrier and a pushchair, as he and his wife Bethan found both extremely useful on their trip. Pushchairs are particularly handy, as they are free to take on board most aircraft and you can wheel them as far as the plane door. They also provide a good opportunity for your beloved sprog to have a little nap during the day, or even to sleep in while you’re out in the evening. Simon also recommends bringing a stash of baby food from home, since although baby food is available everywhere in Japan, it can sometimes be difficult to coax your child into eating the local version! Games and toys are a great idea for the plane journey, too. The main piece of advice our InsideJapan parents could offer in this department is not to try to pack too much in – take your time, go slowly, and don’t expect to keep up the pace you would if you weren’t with kids! Of course, it depends on the age of your little one – but what we’ve found is that the thing they enjoy most is having lots of attention from Mum and Dad, so in actual fact it doesn’t matter a huge amount what you do. Ordinary sightseeing and everyday activities like riding the train or visiting a garden provide excitement enough without the need to worry about packing in specifically “child-friendly” activities – although there are plenty of adventure playgrounds, aquariums, theme parks and activities available for those who do want to fit them in. 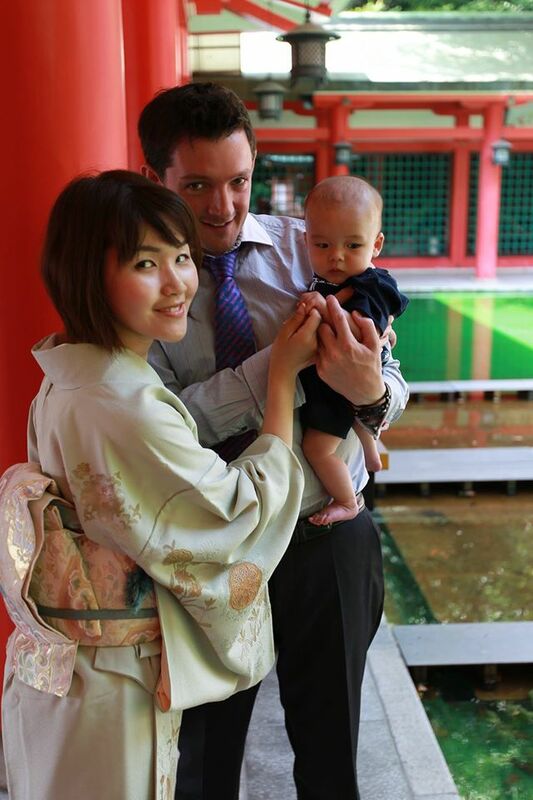 Interacting with other people can also be one of the most enjoyable aspects of bringing your sprog to Japan, and you may well find that your baby is treated as something of a minor celebrity during your trip! Japan is very well geared-up for family travel, with a great variety of family-orientated accommodation options, from self-catered apartments to family rooms in hotels and traditional inns. Do be aware that you will need to pre-book cots or family rooms before you travel. If you need any more information about travelling with young children in Japan, don’t hesitate to get in touch and we’ll do our best to answer your questions. 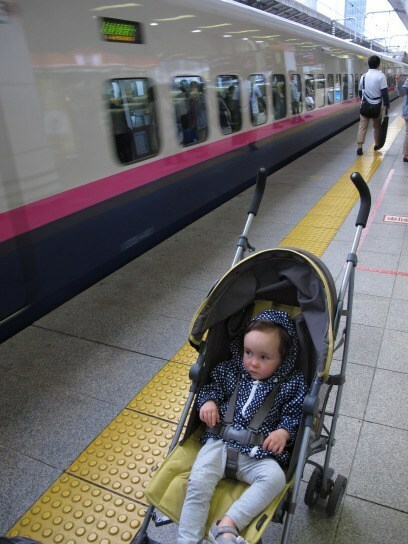 For more on travelling with kids in Japan, see our previous blog posts: How to travel with a toddler in Japan and Baby loves Tokyo.